Flynn Center for the Performing Arts Burlington, Vermont The Flynn has been at the center of Vermont's cultural landscape for 75 years—from its earliest days as a vaudeville house through five decades as a premier movie theater to its present incarnation as the region's leading performance center and arts education organization. One of the highlights of our summer, the annual Flynn Garden Tour, now in its 11th year, is an opportunity to visit exquisite gardens in the region. This year’s tour (Sunday, July 8, tickets are still available!) features eight of the best private gardens in the Essex Junction area, including: the three-family Willey Farm compound, with many gardens designed by Zita Lee, long-time Vermont gardener whose own gardens echo the tenets of Gertrude Jekyll; the chance to see what landscape nursery/owners/interior designers do with their own house and gardens; and an urban landscape redefined. The tour also includes the Ethan Boyers Memorial Sensory Therapy Garden at the home of Richard & Rachel Boyers. The garden was created in memory of the Boyers’ son, Ethan, who passed away in May 2005 at age 2 ½. According to his parents, Ethan was a gentle soul who found pleasure in simple things like lying on the grass looking up through the pine trees to the sky, feeling the wind blowing through his hair, and experiencing the sensation of water running through his hands. The garden was intended to be the Boyer family’s Make-A-Wish Foundation grant for their son, but was instead transformed into a highly accessible garden that delights the senses. When Ethan died before the “wish” was granted and the garden constructed, his two older sisters, Talia and Maya, asked, “Mommy and Daddy, does this mean we won't be able to make the garden?” They had already become captivated with ideas of planting flowers and creating wind- and light-catchers and building fairy houses. ...Who could say no? Rachel and Richard—both landscape architects who have studied as far away as Kyoto, Japan set to work creating a garden for other children with special needs to come and enjoy as they had hoped Ethan would have. The garden is a work in progress. 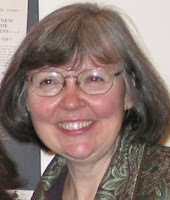 Rachel is also a Master Gardener who works with Vermont’s Family, Infant and Toddler Program, which serves children with developmental delays or special needs. Now her career paths seem to be converging, as she finishes the certification program in horticultural therapy through The New York Botanic Garden. Some day soon, she will be able to offer horticultural therapy programs in her own backyard. The Boyers’ long, narrow back lot is accentuated by a low, curved retaining wall of Pennsylvania fieldstone. Richard found solace in the cathartic act of laying each stone. The wall raises the gardens behind it to wheelchair accessible height along a wide and level path. Under the shade of five Donald Wyman crabapple trees, Japanese bells ring softly in the breeze and thick healthy perennials and shrubs thrive. Potted plants sit atop the wall and can be brought closer to visitors who are not able to reach into the beds. The perennials are grouped according to a particular feature such as texture (hens and chicks, sea thrift, sedum, dianthus), color (delphiniums, coreopsis, astilbes, geraniums), fragrance (roses, lilies, lavender, sage, rosemary, artemisia), and sound (grasses, pines, chimes). Delicate fairy houses created by Talia and Maya nestle among the flowers, waiting for nocturnal visitors who grace them with treasures. In the spring, 4,000 bulbs unfurl their blooms, and visitors are encouraged to take a moment to stop and smell the flowers—as well as to touch the feathery seed pods and fuzzy leaves, rub snips of fresh herbs between fingertips to release the scent and listen to the birds singing and water falling. The Boyers family believes that Ethan’s spirit will live on in this garden and continue to touch those who come to enjoy it. · The New England Culinary Institute will cater the tour’s afternoon tea while harpist Maura Morse plays beautiful, soothing music. 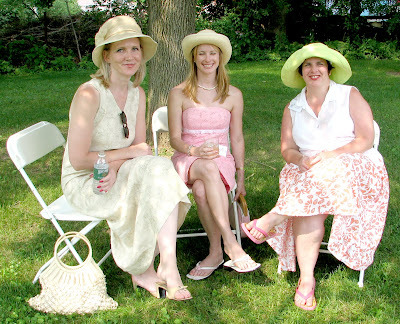 · At the tea tent, we have added a silent auction in addition to our popular raffle. 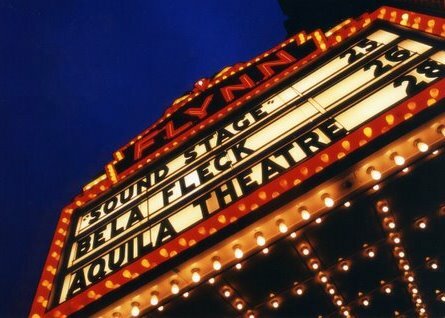 Several unique items are up for bid, including a chance to have your name or message on the Flynn marquee for the day! 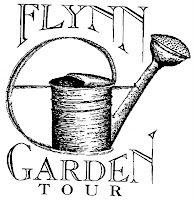 · Word of the Flynn Garden tour has spread! This year we are delighted to welcome editors from two national gardening magazines. Editors from Garden Gate Magazine and Better Homes and Gardens will join us on the tour. Both editors are on garden scouting trips for their respective magazines. 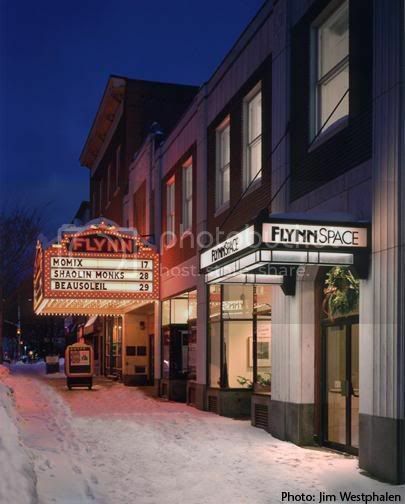 The Flynn has been at the center of Vermont's cultural landscape for 75 years—from its earliest days as a vaudeville house through five decades as a premier movie theater to its present incarnation as the region's leading performance center and arts education organization. Today, the Flynn Center for the Performing Arts is recognized internationally for its significant artistic, educational, and community outreach activities; superb technical capacity; beautiful ambiance; historic setting; and world-class presentations.